We arrived home safely from our cruise - it was so much fun! I'll share some photos and a few details with you tomorrow but for today, I have a project to share. 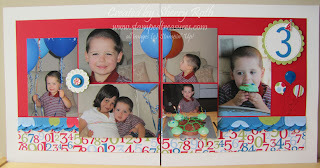 For this months scrapbook layout, I scrapped some older photos, I can't believe that this was almost 5 years ago! Where does the time go. These photos just put a smile on my face. Eathan's adorable smile and cuddles with Jordyn (unheard of now!) are just precious. I used the Celebrations DSP (117164) - I love this paper for masculine and birthday layouts. 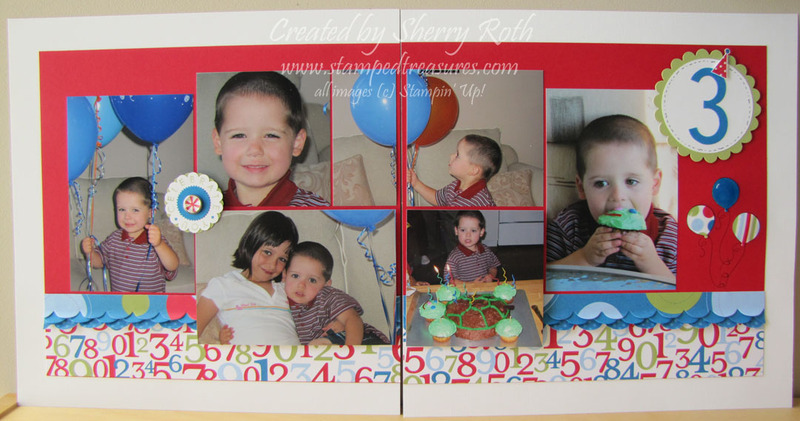 I hadn't used the number page yet so thought it would make a wonderful addition to a birthday layout. The stamp sets I used are the Party Hearty (111532) - 30% off until the end of May, and the Crazy for Cupcakes set (111618). I stamped the balloons three times right onto the 12x12 real red cardstock and then stamped the balloon portion only onto some scraps of the same dsp and coordinating cardstock and cut them out (paper piecing). I added a little shadow with the white gel pen, stuck them down and then covered them with Crystal Effects. It gives them the look of an epoxy sticker. I love using Crystal Effects to get that look. 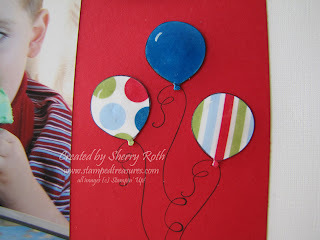 The border was done using three layers of the scallop border from the Tasteful Trim die. I took my bone folder and curled up the scallops on them. It looks really neat in person, but was hard to get the effect in the photo. Hope you enjoyed todays project! 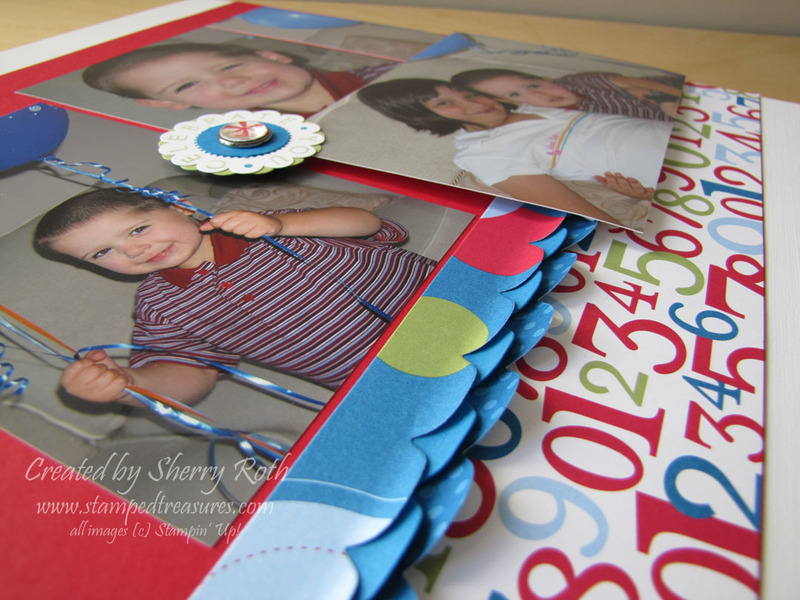 Don't forget there are only 2 days left of the Scrapbooking Month promotion! Shop online 24/7 in my online store.